September is over, and although we’ve firmly said goodbye to the summer sunshine, we’re saying a very welcome hello to some positive results from the Dale! As you can see, September saw Rochdale make a huge improvement on the disappointing start August had to offer. Not only were we treated to three wins, one of those included a 4-0 away win against historic rivals Bury. Results don’t really get much better than that! This leaves the Dale in 17th place in the League One table. With the rest of the season to go, there’s still plenty of time to crawl up to the league’s upper echelons. This month’s match against Bury marked a very special occasion for the Dale – and it wasn’t just the intense derby atmosphere. 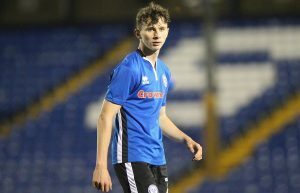 Daniel Adshead, at 16 years and 17 days of age, made his debut as the youngest ever Rochdale player – talk about history in the making.! The youngster played the full 90 minutes and helped carry the team through to a 4-0 win against their derby rivals. If this debut is anything to go by, Adshead’s future at Rochdale is going to be very bright indeed. 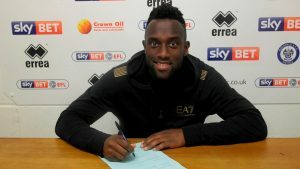 25-year-old Jordan Slew has signed a short-term contract to play with Rochdale until January. The talented centre-forward started his career at Sheffield United before moving on to stints at Blackburn, Cambridge and Plymouth Argyle. We’re certainly looking forward to seeing him work his magic at the Crown Oil Arena. We’ll be back this time next month to round up everything Dale in October. Let’s hope the lads manage to continue this streak of success! All images courtesy of Rochdale AFC.